It took me quite a while to post this entry since it's really hard to put down my experience into words. We booked our ticket when we found out about a promo so we can't really expect good seats/a good departure time. Our flight was at around 5:30PM (Manila to Kalibo). In Kalibo, we had to ride a van for 2 hours to get to the port where we are to ride a boat to Caticlan. I don't want to talk about the 2-hour van ride. I forgot what time we arrived in Caticlan but I'm pretty sure it was late at night and there weren't enough "fun" activities for us so we just checked in, and went to the stations for late dinner. The different activities offered by different Water Sports Companies were all tempting and fun but we only availed of the Parasailing, Parao (Sunset Sailing), FlyFish, and the Paddle Boarding. I was so happy I got to play volleyball too! I don't remember the last time I played. All other parts of the day was spent on the beach! Cool water + fine sand = perfect chill place. At night, we'd either drink in our room or drink at the stations while listening to live bands. I never really admitted it to myself... but I really enjoy listening to live bands while drinking my beer and laughing with my friends. A little hookah is not bad too! You didn't go to Boracay if you didn't get shakes from Jonah's Fruit Shake. I must say: I thought it was just a fad or something that most people to to just because it's famous. Their shakes are delish! I'm a fan of pineapple shakes (since I'm into sour drinks) so I ordered Pineapple Banana. It sounds weird, I know. But you should try it! We ate in different places for lunch and dinner every day and night but almost all the restaurants we ate at serve Filipino cuisine. I am a Starbucks person therefore I won't let anyone stop me from going to Starbucks Boracay. Okay, so my Iced Venti White Chocolate Mocha (Non-Fat, No Whip) tastes the same in Boracay, but the experience wasn't. Obviously, you're in Boracay. That's one. Two, since I/we always stay at smoking areas, we chose to go to the rooftop where I can drink my coffee under the freakin stars. Three, as part of their job description, the baristas speak different languages so they can communicate better with the foreigners. They can speak Korean, Spanish, Italian, French, and Chinese. They probably know more, but those are the only languages I heard. My favorite part would be eating good food under the stars. It can never be replaced. It is number one in my heart. We stayed at Bambooze Hauz. Yes, I know. It is indeed spelled Hauz. It was far better than I expected. The room wasn't big but it was enough to fit four adults and it had a kitchen so we cooked our breakfast inside the room. We also cooked dinner on some nights. If you're concerned about the smell, just leave the door open while cooking. 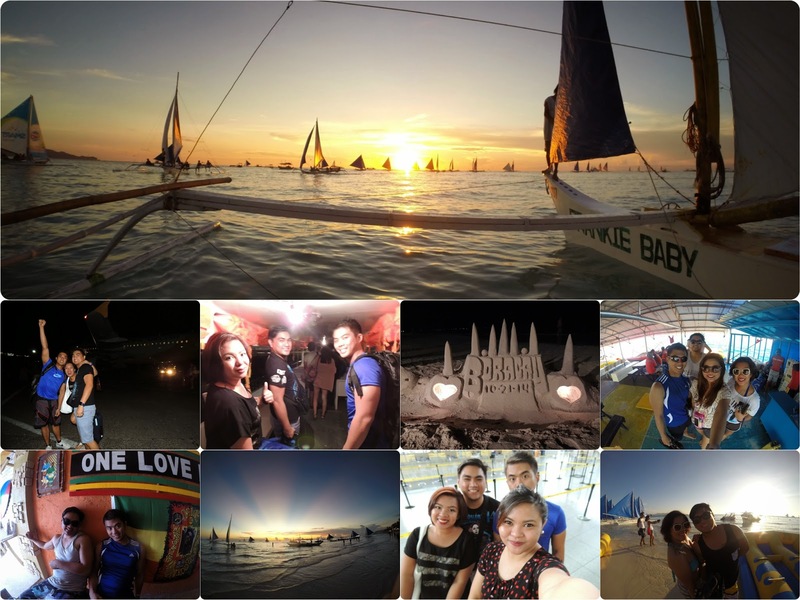 This sums up my great week in Boracay. Please watch the following videos. The first video was made by Nika Peralta and I made the second one.